Pentaerythrityl Hydrogenated Rosinate. 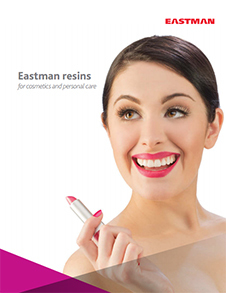 Foral™ 105-E CG Hydrogenated Rosinate by Eastman acts as a hard fixative. It is derived from the esterification of a highly stabilized gum rosin and pentaerythritol. Possesses excellent oxidative and color stability as well as high softening point. 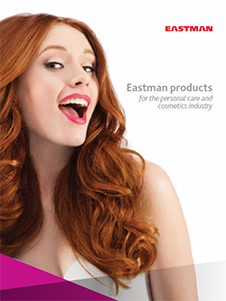 Provides excellent resistance to oxidation and discoloration caused by heat and aging. 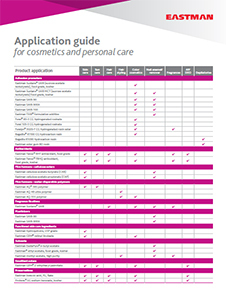 Offers a wide compatibility range. 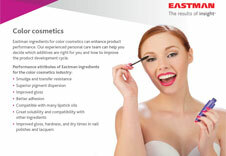 Foral™ 105-E CG Hydrogenated Rosinate is used in eye makeup, face makeup, mascara, lipstick and gloss.